Global wood fiber prices have trended upward for much of the period 2014 to 2018, with wood costs going up the most for pulp mills in Western North America, Europe, Indonesia and China. April 10, 2019 - WRI's global wood fiber prices indices reached four-year highs in the 4Q/18 as the costs for wood chips and pulp logs have moved upward in most of the 19 world regions tracked by the Wood Resource Quarterly (WRQ). Global wood fiber prices have trended upward for much of the period 2014 to 2018, with wood costs going up the most for pulp mills in Western North America, Europe, Indonesia and China. Only pulp mills in Brazil and Eastern Canada have seen their wood costs go down during this period. According to WRQ, wood fiber costs ranged between 45% and 70% of the cash costs for the production of pulp around the world in the 4Q/18. The costs for wood chips and pulp logs were generally higher worldwide in 2018 than in 2017 with both the Softwood Fiber Price Index (SFPI) and the Hardwood Fiber Price Index (HFPI) reaching their highest levels in four years. From the 4Q/16 to the 4Q/18, the SFPI and the HFPI increased by 6.4% and 4.6%, respectively. Over the past two years, softwood fiber prices were up over 20% in the US Northwest, Western Canada, the Nordic countries and Germany, according to WRQ. The only regions where fiber costs have fallen since the 4Q/16 were Eastern Canada and Brazil. In Eastern Canada, fiber costs have declined primarily because of an oversupply of wood chips and in Brazil due to a weakening Brazilian Real. In Ontario and Quebec, growing lumber production has created ample supplies of residual chips while demand for wood fiber has stagnated. 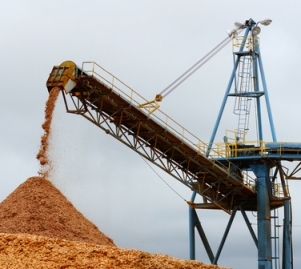 As a consequence, wood chip prices have fallen by almost 50% in six years and some sawmills are struggling to find buyers for all their chip volumes. During the past two years, the costs for hardwood pulp logs have gone up in 15 of the 16 countries tracked by the WRQ. Pulp mills in some of the major hardwood pulp-producing regions, including China, Finland, Indonesia and Spain, have seen their fiber costs go up between 10-30% from the 4Q/16 to the 4Q/18. Import prices for hardwood chips to China have gone up steadily from late 2017 to early 2019, predominantly because of increased prices for wood chips which have been sourced from the higher-cost countries of Australia and Chile. In late 2018 and early 2019, import prices for hardwood chips to China and Japan were practically the same. This is unlike in the previous decade when prices for overseas chips delivered to Japan were between $20-70/odmt higher than for those shipped to China. Wood Resource Quarterly is published by Wood Resources International, an internationally recognized forest industry-consulting firm. For further information visit: www.woodprices.com.